Eric H. Zielinski & Co., LLC was established as a full service CPA firm to serve the tax, accounting and consulting needs of closely held businesses and individuals. You can expect to receive attentive, local service, professional experience and expertise. Listening helps build trust and respect and is the foundation of a lasting client relationship. Clients of our firm get financial leadership, guidance and useable advice to help grow their business and become more successful. Quality, service and ethics are the guiding principles our team members follow each and every day as we work with you toward a successful future. Here is a sampling of responses our clients provided in a recent satisfaction survey. Read them to learn more about the type of support you can expect to receive from our firm. Eric H. Zielinski, a resident of Westport, CT, has been in public accounting since 1981 after earning his Bachelor of Science in accounting from the University of Connecticut. He is currently a Board Member of the Westport Sunrise Rotary, Treasurer for Rotary District 7980, and is the Assistant Scoutmaster & Advancement Chair for Boy Scout Troop 39. He has earned the Personal Financial Specialist (PFS) credential by the American Institute of Certified Public Accountants. 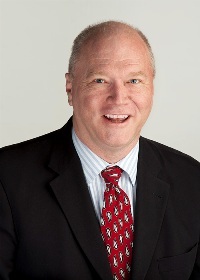 He is also a member of the Connecticut Society of Certified Public Accountants' Personal Financial Planning Committee and Trust, Estate and Gift Taxation Committee. His areas of expertise include comprehensive financial services, trust, estate, gift and business planning.